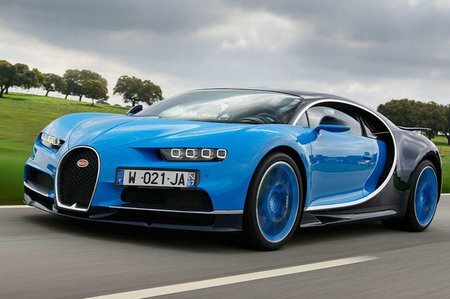 Bugatti Chiron Performance, Engine, Ride, Handling | What Car? The Chiron experience is dominated by its engine. 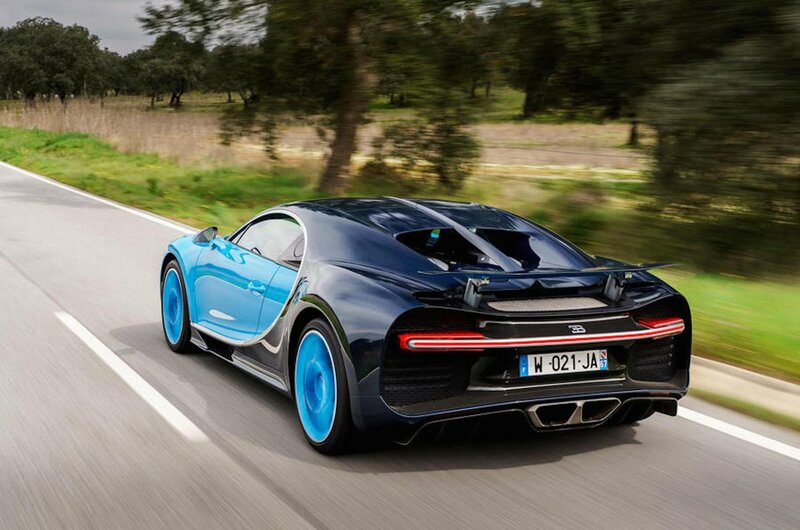 Even at low speeds, the 8.0-litre W16 engine whooshes and growls and threatens, although because Bugatti applies VW-group standards to the Chiron, it’s actually impeccably behaved. The step-off from rest is smooth, control weights are good, and the gearbox, if left in D, shifts up at low revs and makes the Chiron a relatively relaxing car to drive. Its ride quality is reasonable. There are several different drive modes; one that maintains a good enough ride quality – though it feels firmer to us than, say, a McLaren P1 or a Ferrari 488 GTB – and two more that lower the body and stiffen the suspension for either higher-speed motorway work, or if you want to exploit the handling. Not only are those modes stiffer, they’re a touch lower, which risk grounding the Bugatti’s nose on speed bumps and the like. Its steering is at its most pleasing in this normal mode too, with good weighting, pleasant self-centring and a natural, easy feel. And body control is good whichever mode you put the Chiron in. Yes, it’s at its tightest in the ‘Handling’ mode, but we never found it wanting regardless of the set-up. Because of its kerbweight the Chiron feels less agile than a McLaren P1, or even a Porsche 918 Spyder, but in a straight line there’s no doubt that it is faster than both. Despite some trickery with the turbochargers – two are disabled at low revs and accelerator inputs in an attempt to reduce turbo lag – there is a delay between you asking for power and you getting it. But we promise you’ll never be disappointed by the amount you get when it eventually arrives, and you’ll ask it to stop arriving long before it does.